The base cause of all masturbation related torso changes is shrinkage of the torso. This section will highlight torso shrinkage examples in which the shape of the shoulder changes. This post contains a gallery of shoulders whose shapes are changed in some way. This post contains pictures of torsos that are slanted. This gallery contains pictures showing one hip pulled in towards the body. This post contains pictures of bodies with one shoulder higher than the other shoulder. This gallery contains examples of torsos that are asymmetric. 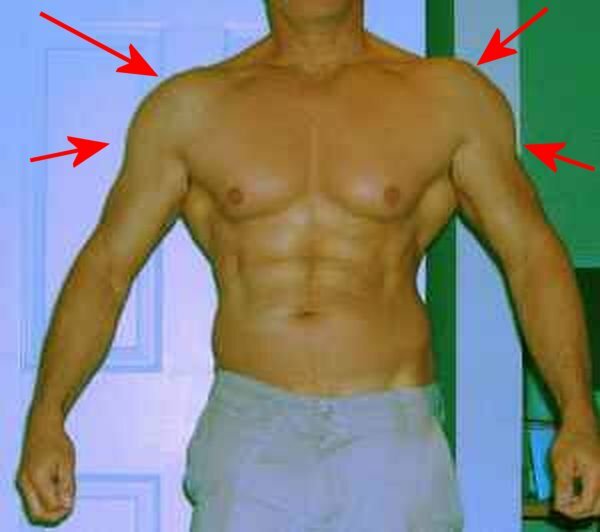 This section contains posts about torsos that are asymmetric as a result of the individual engaging in one of the activities described by Happeh Theory. This gallery contains images of hips that jut outwards.